The zombie genre has gone through many changes over the years, and the process has really never stopped. This article talks about how zombies became the monsters that we find today in popular media. You might be thinking that you know all things zombie. You can quote Daryl Dixon lines from “The Walking Dead” in your sleep, and you know that if the apocalypse starts tomorrow, you can best eradicate a zombie by shooting it in the head. 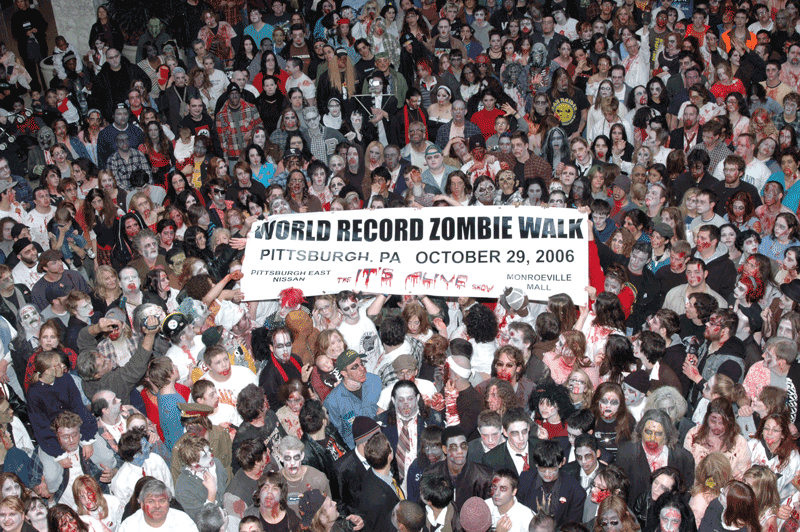 But did you know that the word “zombie” didn’t enter the English language until 1871? And it wasn’t until 1929 that the word specifically denoted a person who had came back from the dead? Or what about the fact that in the original script of the 1968 movie “Night of the Living Dead,” the director referred to these versions of the modern-day zombie as “ghouls”? Here’s the truth about zombies: They go far deeper than a decades-long pop culture trend, as do their symbolic themes of conformity, lifelessness and self-destruction. In the 21st century, it seems to be the zombie that most often satirizes the cultural tendency toward isolation, and reroutes living humans back toward community and a life away from society-enabled obsessions. Modern zombies are unusual in that unlike most monsters, they aren’t rooted in folklore or mythology. The closest is probably the Haitian zombie, but even there the rotting flesh, craving for brains, and viral or viral-like infection that can be passed on by bites are nowhere to be found. Haitian zombies are alleged to be corpses reanimated by a magical ceremony, and it takes a lot more than a bite to create one. The article goes on to describe several current books, television series, and films that are reinventing the zombie genre. If you’re fan, check them out! Here’s a video about 100 years of Zombie Evolution. Has a mature rating – be aware!